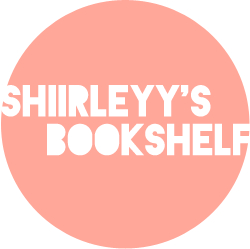 Shiirleyy's Bookshelf: Shatter Me #2 TITLE REVEAL! SQUEEEEEEEE!!! The lovely author of SHATTER ME, Tahereh Mafi has revealed the title to the sequel! Sound EXCITING? Isn't the title PERFECT <3 But seriously, we have to wait ONE WHOLE YEAR! Medical information and the exchange of family health insurance information is very important. If a parent is in sudden need of medical care, supplying the right information in a hurry can be a lifesaver. Keep a list of your parents blood types, medications, details of allergies, a history of past illnesses and surgeries, and contact information for doctors and other caregivers. Youll also want to have the details of any family health insurance plans, as well as supplemental coverage such as critical illness insurance or long-term care insurance. Speak to the Life Insurance Agent from the health insurance company and they will be able to supply you with all the necessary details needed in regards to their family health insurance coverage. This is a wonderful opportunity if you will find there's skill on subjects like maths, science, language courses and also other courses for students. You start a center for tuition and coach students on the above subjects. This is a progressive and steady income opportunities. 2013 is such a bummer! So longggggggggggggggggggggggg . . . sighs. But it'll be worth the wait I'm sure. Anyway lovin' the title. I sure wouldn't mind unravelling Adam as does Juliette. haha. TOTALLY love it! But I'm so annoyed that we have to wait until 2013 BEFORE WE CAN READ IT! That's a whole year away. D: Oh well, Tahereh said it will be worth it - so FINGERS CROSSED.